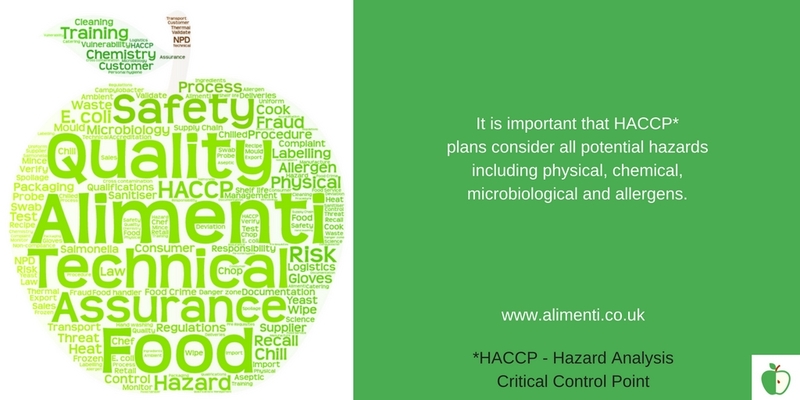 Hazard Analysis Critical Control Point or HACCP is the start of the food safety management system (FSMS), for any food business, and is key for any growing food business. The risks that are being assessed are those hazards that have the potential to cause your consumers harm, injury, illness or even death. They are usually broken down into physical hazards, chemical hazards, microbiological hazards and allergens. Allergens may also be considered under the chemical hazard assessment. There is more information in the links. It can help you to review your business and understand the process of production. The engineering industry developed HACCP as a quality system. This ensures that products are manufactured to specification at the end of the production line. This is rather than testing each one, possibly to destruction. It is also used to ensure product safety. 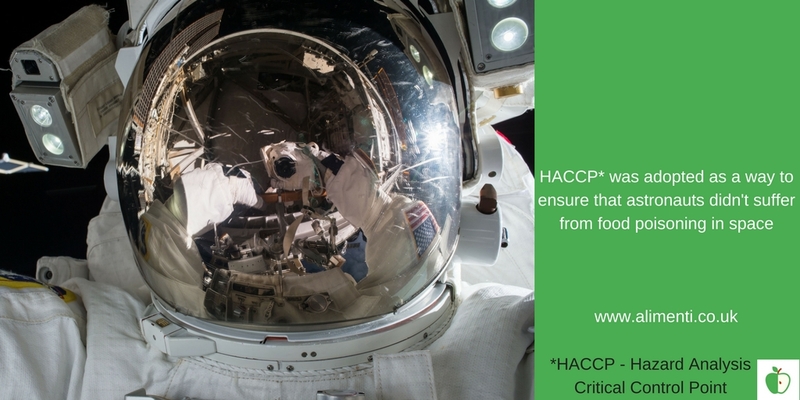 The food industry adopted HACCP in the 1960s to produce the food for the space program. The idea of astronauts having food poisoning in space, doesn’t bear thinking about! It is a legal requirement in the UK for any food or drink business to have a HACCP plan or study (EU Regulation 852/2004). In the UK the Food Standards Agency also produces a document called Safer Food Better Business, aimed at small food and drink businesses. Best practice is for the study to also follow the seven principles of Codex Alimentarius. Conduct a hazard analysis by preparing a list of the steps in the production process and determining the potential and actual hazards and any preventative measures in place. These can include physical, microbiological and chemical hazards. Establish critical limit(s) for each identified CCP. For the best result, the hazard analysis must be undertaken by a team. It is important that each area of the business, such as buying and engineering, has a representative in the team. This makes sure that all areas of the business are represented. 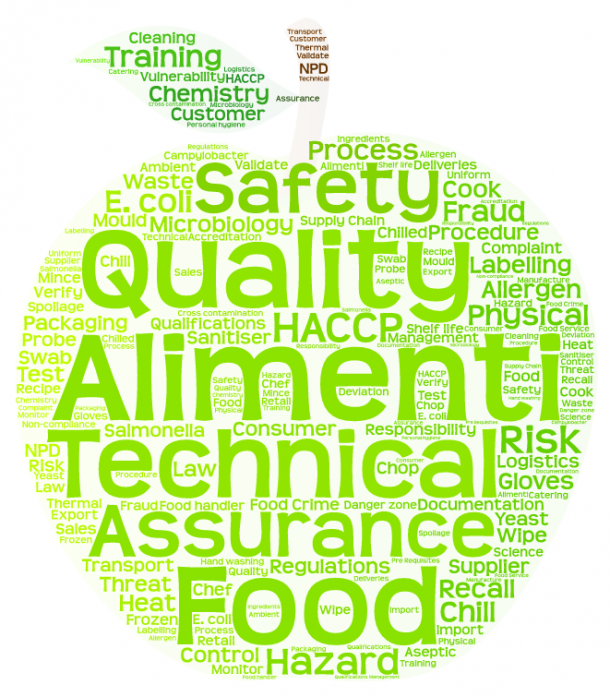 There should be at least one member of the team having formal qualifications in HACCP. Each team member needs to understand how to use the HACCP principles to assess a process/es. This will involve training for each member of the team, to different degrees. Review the plan formally on a regular basis and when you add a new type of product or change the production process. Alimenti can act as the expert team member for your team. It is important to document the study and any reviews. The details of the HACCP team must also be noted. It is important that the team at the manufacturing site takes responsibility for implementing and developing the food safety management system. It then becomes second nature. There is a free resource of the FSA website which will take you through the essentials, here.